The Studio will also present Crazy Ex-girlfriend in its first-ever Comic-Con appearance featuring a tell-all panel discussion with series co-creators to celebrate the final season. Also, CBS All Access will host a special marathon screening event of fan-favorite original episodes from the iconic cult classic The Twilight Zone.. Additionally, don’t miss a special sneak peek and panel discussion featuring Kevin Williamson alongside cast members of CBS All Access’ new psychological thriller, TELL ME A STORY, from Kapital Entertainment. 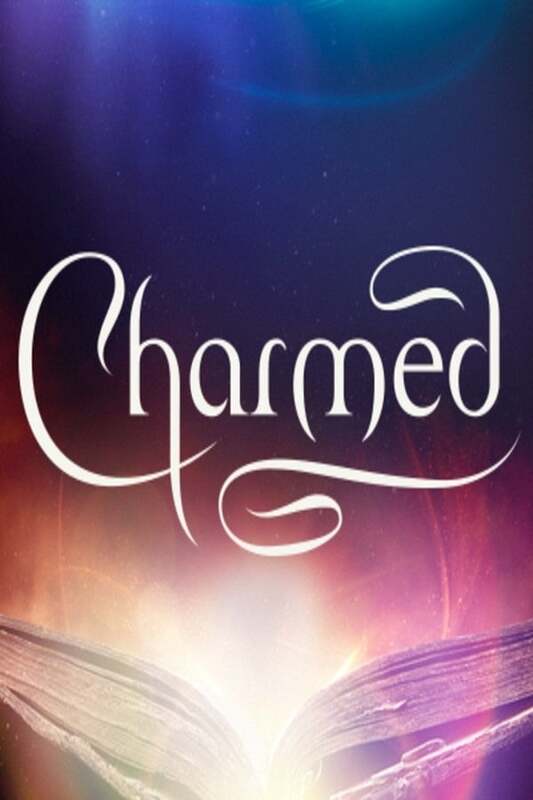 The iconic Charmed is back just in time to celebrate its 20th anniversary. This reboot of the original series centers on three sisters in a college town who, after the tragic loss of their mother, discover they are powerful witches. Between vanquishing supernatural demons, tearing down the patriarchy and maintaining familial bonds, a witch’s work is never done. Please join series stars Melonie Diaz, Sarah Jeffery, Madeleine Mantock and Rupert Evans, along with producers Jennie Snyder Urman, Jessica O’Toole and Amy Rardin, for an exclusive sneak peek of the first episode of The CW series followed by a panel discussion. Step into the world of Tell me a story, the latest project from the brilliant mind of Kevin Williamson. In this reimagining of the world’s most beloved fairy tales, see “The Three Little Pigs,” “Little Red Riding Hood” and “Hansel and Gretel” come to life as dark and twisted psychological thrillers interweaving with each other against the backdrop of modern day New York City. Join executive producer Kevin Williamson, as well as series stars Paul Wesley and James Wolk, for an exclusive sneak peek of the CBS All Access series followed by a panel discussion. Moderated by the editor-in-chief of Entertainment Weekly, Henry Goldblatt. Magnum P.I. is a modern take on the classic series starring Jay Hernandez as Thomas Magnum, a decorated former Navy SEAL who, upon returning home from Afghanistan, repurposes his military skills to become a private investigator. A charming rogue, an American hero and a die-hard Detroit Tigers fan, Magnum has Juliet Higgins and her Dobermans to keep him in line, as well as his trusted buddies and fellow POW survivors TC and Rick when he needs backup on a job. With keys to a vintage Ferrari in one hand, aviator sunglasses in the other, and an Old Düsseldorf longneck chilling in the fridge, Thomas Magnum is back on the case! Please join series stars Jay Hernandez and Perdita Weeks and executive producers Peter Lenkov and Eric Guggenheim for an exclusive sneak peak of the premiere episode of the new CBS series followed by a panel discussion. As the critically acclaimed CW series enters its final season, come celebrate and take a trip down memory lane with co-creators Rachel Bloom and Aline Brosh McKenna as they look back on some of the series’ most memorable moments and talk about what’s ahead for Rebecca Bunch. The panel will be moderated by series guest star Michael McMillian and will include a special performance and never-before-seen footage. Over 50 years ago, the world was first introduced to what would quickly become a cultural phenomenon. “Star Trek” inspired developments in science and technology, broke social barriers, and transported viewers around the globe to new adventures and uncharted frontiers. Last fall, Star Trek : Discovery continued that tradition and followed the voyages of Starfleet aboard the U.S.S. Discovery. Join the cast and producers of this CBS All Access series to look back on season one and find out where the crew is headed as it transports into its second season. Cast members scheduled to appear include Sonequa Martin-Green, Doug Jones, Shazad Latif, Mary Wiseman, Anthony Rapp, Wilson Cruz, Mary Chieffo and Anson Mount alongside executive producers Alex Kurtzman and Heather Kadin. The panel will be moderated by series guest star Tig Notaro, who will appear as Chief Engineer Reno. The Twilight Zone new original series will be coming soon to CBS All Access in a modern reimagining of the iconic series that took viewers to another dimension, a dimension not only of sight and sound but of mind. It was a journey into a wondrous land of imagination for five years on CBS, from 1959-1964. The godfather of sci-fi series, the show explored humanity’s hopes, despairs, pride and prejudice in metaphoric ways conventional dramas could not. Please join us for a special marathon screening and a look back at some of the fan-favorite episodes from the original series. Concessions and an exclusive giveaway item will be provided. On Thursday, July 19, CBS will cruise the streets of Comic-Con in a branded Ferrari 488 to promote the return of Magnum P.I. Brand ambassadors will distribute red sunglasses and Hawaiian leis. From Thursday, July 19 through Sunday, July 22, CBS will offer free “intergalactic” rides throughout San Diego’s Gaslamp District in pedicabs inspired by the design of the U.S.S. Discovery’s captain’s chair. The pedicabs will feature the chair’s distinctive stitched black seats as well as video monitors built into its armrests, which in this case will screen trailers for the highly anticipated second season of the show. As an added touch, each vehicle will display an illuminated U.S.S. Discovery delta shield on the back. CBS is creating a fully immersive Star Trek : Discovery Mirror Universe experience at the Michael J. Wolf Fine Arts Gallery (363 Fifth Avenue, San Diego); Comic-Con badges are not required for entry. The exhibit, scheduled to run from Thursday, July 19 through Sunday, July 22, will feature a photo opportunity with Emperor Georgiou’s throne and will showcase props and costumes from the series’ Terran Empire. The gallery will also house an official “Star Trek” shop with Comic-Con exclusives.